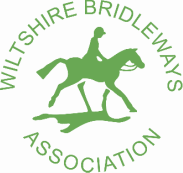 During early April 2015, one of our committee members attended a Rights of Way meeting where the police were criticised for failing to take action against drivers and rider of 'Off Road Vehicles' who were witnessed illegally using Bridleways and Restricted Byways, or ignoring Temporary Restriction Orders affecting Byways. The Wiltshire Police Rural Crime Team have responded by asking to be notified of such events, including damage to fences, hedges and gates etc. They have asked that if an offence is in progress, it can be reported as an emergency via the '999' facility, or alternatively, if not immediately urgent, via the '101' number. Details of offence and location. If safe, obtaining a photograph on a mobile phone is ideal but please remember do not under any circumstances approach or challenge the offender(s). At all times, think of your safety and that of your horse too. If the Police don't know of an offence, they can't deal with it. So, get reporting, it's in the interest of all.